Check out our gallery of Photon Cannon images below, as well as more product information. Here is some additional information, as well as a description of the Photon Cannon from Ecoxotic. 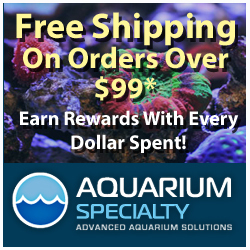 What do aquarists dream of? Being able to replace their metal halides with a cooler, more energy efficient lighting solution. The Cannon LED aquarium pendant makes this a reality. Emitting a bold, crisp and vivid light, metal halides have been put on the endangered species list. Compact and powerful, the single, high-density LED multi-chip coupled with polished reflector produces an intense, sharp beam of light penetrating water more effectively than metal halides. Packaged inside an IP65 rated circular module with glass lens – makes them ideal for harsh aquatic environment. Whether you have a deep aquarium at home or manage a large shark exhibit at work – the Cannon LED pendant provides a viable lighting alternative to those old school halides. 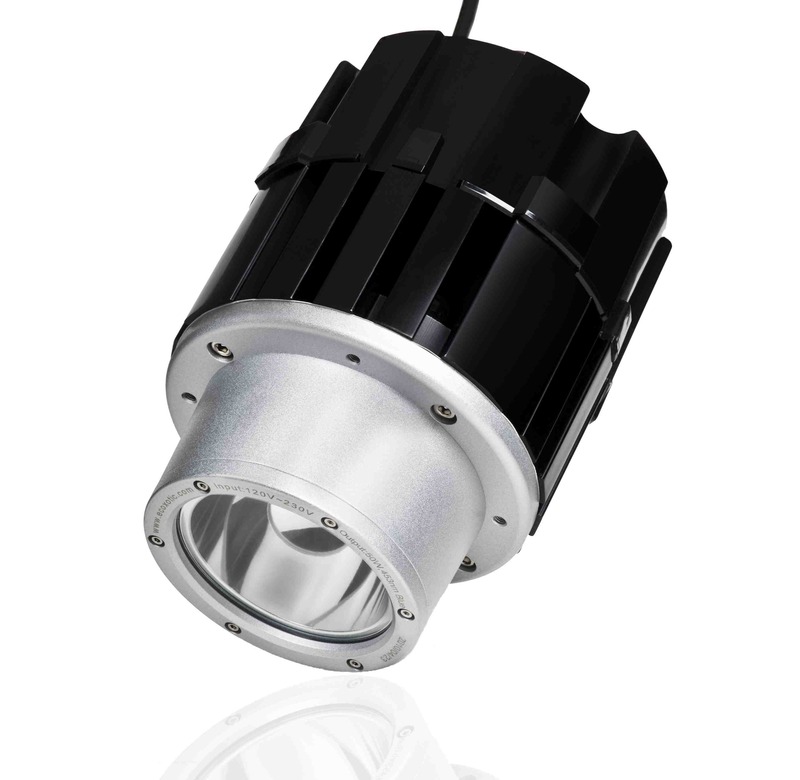 Each pendant features a 50 watt multi-chip LED, integrated driver, polished aluminum reflector, glass lens, and an adjustable hanging kit. Available in 12,000K White and 453nm Blue. Stay tuned for a video of these amazing Photon Cannons in action, as well as the official product release information from Ecoxotic.